A Cheek Lift is also referred to as a Mid Face Lift. It is a minimally invasive procedure that negates the effects of ageing on the cheeks and lower eyelids. A Cheek Lift can restore the youthful contour on one’s droopy cheeks as it improves the bagginess and tear trough of the lower lids, thus, softening the unwanted cheek fold. A Cheek Lift requires general anaesthetic. This may vary according to the surgeon. 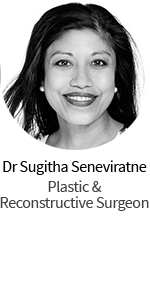 Using a minimally invasive mid lift procedure, the incisions are created in the scalp and above the gum line inside the mouth. 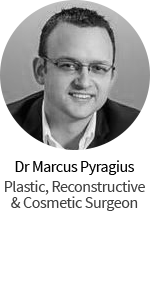 The fat is pulled upwards below the skin and sutured into position on the cheekbones so the skin of the lower eyelids and cheeks do not feel any more weight as they spring back and sewn in place. Using a laser, the skin of the lower eyelids will then be resurfaced to diminish the fine wrinkles and stimulates new collagen. Lastly, the incision will be stitched and an antibiotic ointment is smeared in the scalp. Q. How long is the recovery period? A. You can usually go back to work and other normal activities within 7 to 10 days. A. There is a little discomfort after the procedure. A minimal discolouration may be seen, though this is temporary. There will be swelling which usually subsides over 5 to 7 days but should be fully subsided after several weeks. A. The cheeks may sag again after several years. In order to prolong the effects, one should avoid sun exposure and smoking. A. Both men and women are good candidates for a cheek lift procedure – provided that they are in good health. Q. How long does the Cheek Lift procedure last? A. It should take between 1 to 3 hours to complete the procedure depending on the approach that will be used and how much work needs to be done.